Decades of protest by local activists has resulted in a historic victory. We win: Southern California Edison announced Friday it will shut down the troubled San Onofre nuclear power plant south of Los Angeles. Permanently. 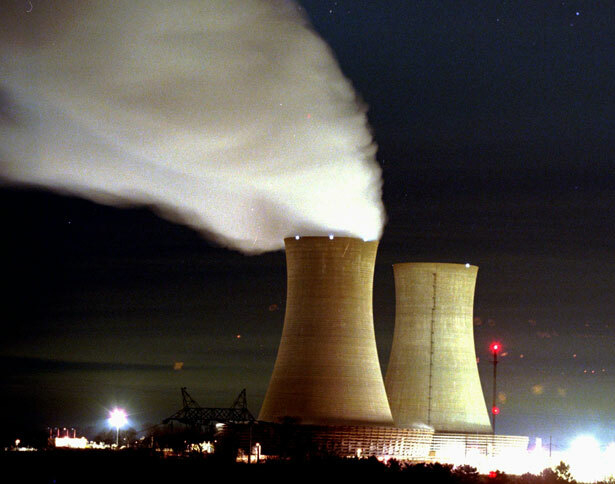 The plant, which has been the target of anti-nuclear protests for decades, has been closed for seventeen months because of radioactivity leaking from the steam generators. But until now, Edison had defied critics and pledged to restart the plant. Leading the fight to shut down San Onofre have been locals Gary Headrick of San Clemente Green, Gene Stone of Residents Organized for a Safe Environment and Donna Gilmore of San Onofre Safety, along with Dan Hirsch of the Committee to Bridge the Gap. They’ve gotten help from Arnie Gundersen and Friends of the Earth and of course from Helen Caldicott. Activists held rallies, spoke at official meetings and petitioned the NRC and Congress. They pointed out that San Onofre has the worst safety complaint record of all US nuclear reactors according to Nuclear Regulatory Commission (NRC) safety allegation data.